The 2018 On-Road Voucher Incentive Program (VIP) Funding Tables are now available. Mail-Out #MSC 17-21 includes the updated tables, which will be effective Monday, January 1, 2018. Most fleets with ten heavy-duty vehicles or less that are compliant with the Truck and Bus Regulation and have at least one year of surplus are eligible for VIP funding to replace 2009 and older engines. Filtered vehicles that are equipped with 2006 and older engines and following the Engine Model Year Schedule of the Truck and Bus Regulation are eligible. However, vehicles with filters verified to reduce oxides of nitrogen (NOx) emissions must undergo a separate evaluation to account for the reductions already achieved from the baseline engine. Those filtered vehicles may require higher minimum mileage requirements relative to non-filtered vehicles or vehicles with filters only verified to reduce particulate matter to receive a certain voucher amount. Separate funding tables for vehicles opted-in to the Agricultural Vehicle Extension have also been added. Please see Mail-Out #MSC 17-21. 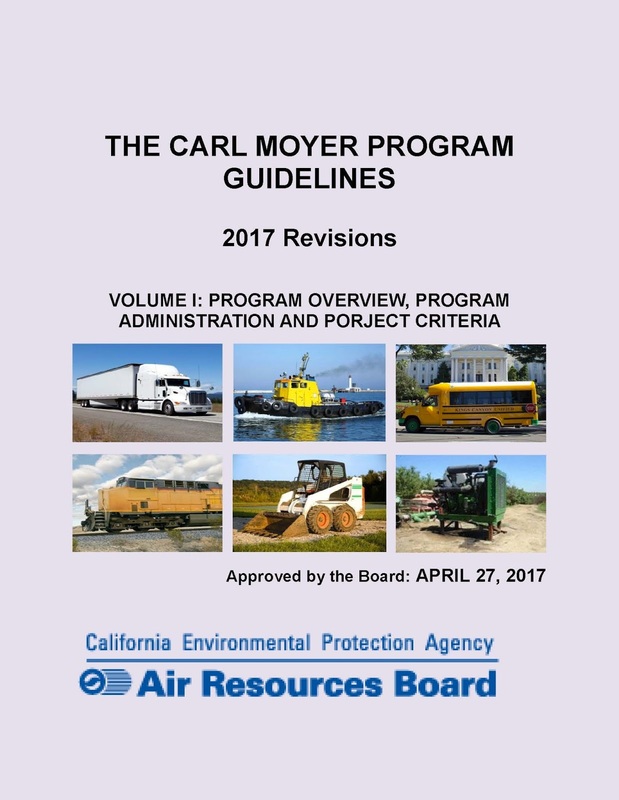 All approved updates are incorporated into the latest 2017 Carl Moyer Program Guidelines. Since 1998, the Carl Moyer Program has filled a critical niche in California’s strategy to achieve clean air. The Carl Moyer Program provides grant funding for the incremental cost of cleaner-than-required engines, equipment, and emission reduction technologies. 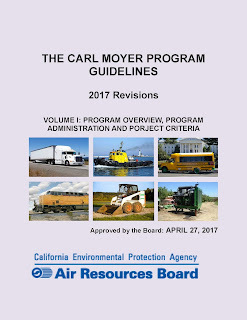 The Carl Moyer Program complements California’s regulatory program by funding emission reductions that are surplus, i.e., early and/or in excess of what is required by regulation. State law (Health & Safety Code Section 44287) authorizes the Air Resources Board to revise the Guidelines when necessary to improve the ability of the program to achieve its goals. VIP Guidelines require that Funding Tables in Appendix O be updated annually.